It's been far too long since I've raved about a recipe and this one definitely qualifies as a winner. Mister's aunt sent this too me a while back and I made it last night again with some tweaks and it was even better than the first time. I based our meal on this recipe and followed it pretty much to a 'T' but made a few additions. The first time I made this I added ground turkey and while it tasted okay, it did not look very pretty. This time I browned up 3 cubed chicken breasts in a skillet before I added it to the casserole dish. 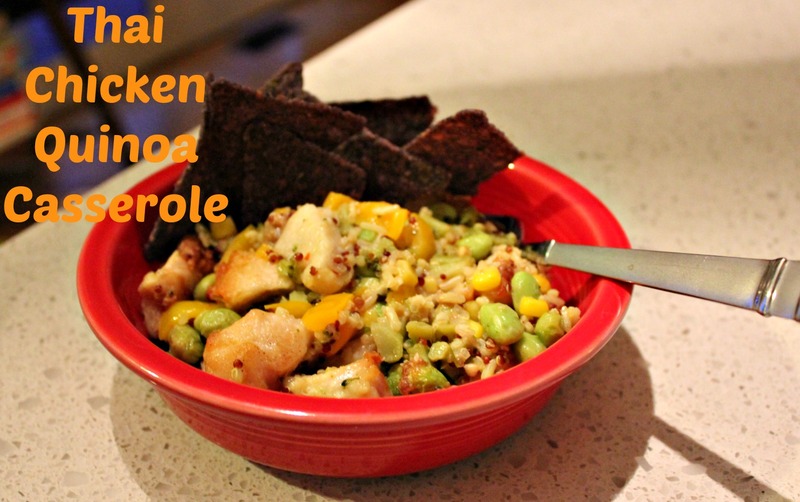 I also added frozen corn and used frozen broccoli instead of fresh, either works! 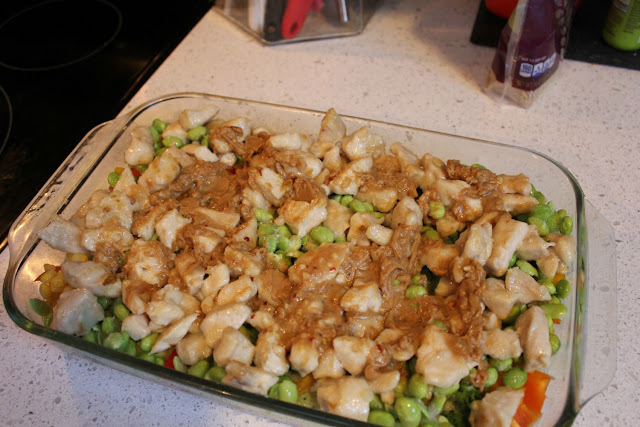 I did mix up a tad bit more peanut sauce than the recipe calls for but because we had SO much chicken, I think next time I will double the sauce recipe. Besides being very delicious and a great week night meal, this recipe makes a TON. We probably have enough for at least 3 nights of meals. While this recipe comes together quickly, I will warn you the baking time is quite long so make sure you plan ahead for that. This could definitely be made up the night before and baked the next day. Ooh, pinning this for future reference! 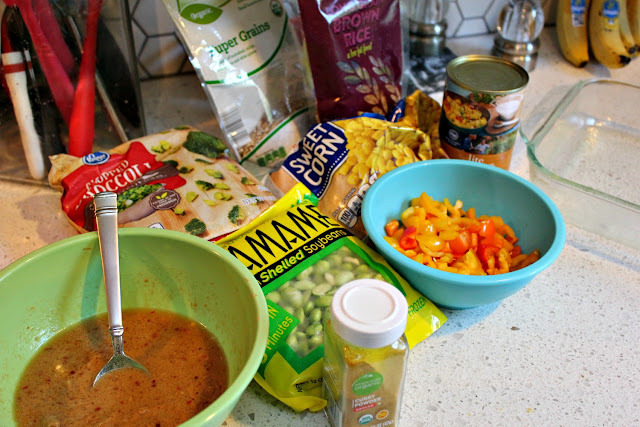 I love one-pan meals, and I love love peanut sauce, so I'm in. What a great way to get a whole bunch of veggies into one dish too! 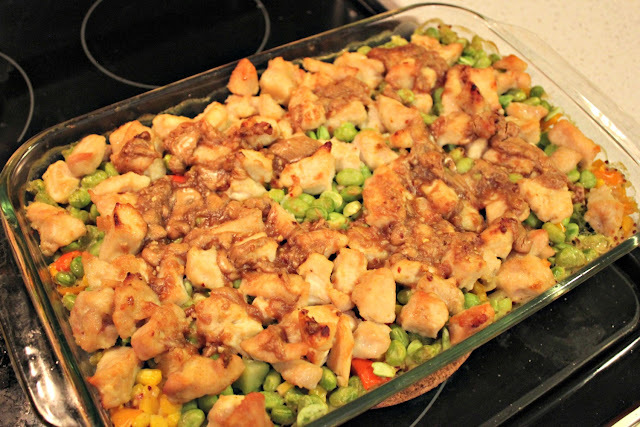 oooh i totally pinned this, it looks so easy and delish. my husband gets home earlier than me during the week (well, during the school year. he's home all the time right now) so things that i can make the night before and he can put in when he gets home are perfect! This sounds really good. I can't wait to try it out.